I am a St. Louis native, attended Bishop Du Bourgh High School and graduated from the University of Iowa in 1980. I joined Local 110 in 1984 and worked with various different contractors over twenty years such as Fred Weber, Mc Carthy Brothers, J.S. Alberici, Tarlton, K and S, and others. In 1999 I was elected as an auditor, and in 2004 Local Vice President and delegate to the district council. In 2007 I was elected to Secretary Treasurer of Local 110 and in 2010 I was elected Business Manager. Today I sit on the Board of Local 110, the Pension Board, The Welfare Board, The Laborers Training Center Board, and The St. Louis Labor Council Board. The Mission is “To Help People Live Better” in their jobs, their homes, their families and their communities. That’s why we join a Union. I was born in East St. Louis IL and grew up in Belleville Illinois. I am the former Mayor of Albers, IL., former volunteer fireman and former member of Fairview Heights and New Baden IL. Jaycees. My family has a long line of Union Members. I started working at St. Louis ship as a pipe welder in 1978. In 1983 I went to work for Alberici. I worked for Alberici for 20 plus years. In 1992 I was elected to the executive board of Laborers’ Local 110 and in 2004 was elected again to the Executive Board of Local 110. In 2005 I became a Business Agent and in 2011 I have taken the Office of Secretary Treasurer. I am grateful to represent the members of the best Laborers Local in North America, Local 110. I will work and represent all members of Local 110 to the best of my ability and I thank my union brothers and sisters for their support. I started as a cleanup laborer but quickly learned other skills, which include; Skid-Steer, Man-Lift, Hydraulic-Rock Drill, Rock Blasting, Hydraulic-Boulder Breaker, Crusher Feeder and Plant Maintenance. I also monitored the drilling and blasting operations at Weber's North Quarry as Blaster in Charge for seventeen years. I was a Charter Member of Fred Weber's Safety Committee, MSHA Miner's Representative and Shop-Steward. In 2003 I was elected to the Laborers' Local 110 Executive Board, and in 2006 was elected Vice President. After thirty two years with Weber in 2011 I became a full-time Business Representative for the local. Born in St. Louis, I graduated Webster Groves High School in 1980 and started college at MO State. In 1985 while still at MO State I started working a summer job doing asbestos abatement, that summer job turned into much more. I moved back to St Louis in 1986 and joined the Laborers in 1988. I spent the majority of my career doing asbestos, demo and other environmental remediation. I had the pleasure of running some fairly large scale projects over the years and working with some of the best people in the business. I was an Auditor for 110 for a couple years before becoming a Business Agent in 2009. I feel truly blessed to represent the members of 110. I was born in Los Angeles, California. My father is from the State of Michoacán and my mother from the State of Jalisco in the country of Mexico. I came to Saint Louis in 1998. In 2006 my economic situation took a turn for the better, when I joined Laborers Local 110 and worked in concrete for several years. I am married to my wife Nikki, the person who stood by me in my darkest days and we are now expecting our first son. Today I have the honor to serve our Union as the first Hispanic Business Agent, Executive Board member, and Pension board trustee alternate in history of our Union in the state of Missouri. I also serve as the Executive Vice President of the Labor Council for Latin American Advancement AFL-CIO (St Louis Metro Chapter). I will forever be in debt with our Union and may we never forget those who organized, in 1903 the Laborers International Union of North America, for us all to have a better life. I am 38 years on and I’m a 17 year member of Laborers’ Local 110. My wife of 17 years and I have a daughter (16) and a son (12). I have lived in the High ridge area all of my life. My dad has been a member of LIUNA for almost 60 years and my brother has put in over 30 years as well. Several Family members, such as uncles, cousins, and my grandfather, were all members also. In my first 13 years as a Laborer, I worked mainly for General Contractors in a wide variety of work. In the last 4 years I have been in the Pipeline Industry working for Accurate Underground, a directional drilling company. We travel all over, but the majority of our work is in the Midwest. I am currently serving on the Executive Board and look forward to the possibility of being a Business Agent one day to fight for what is right for the members of Local 110. I always have a will continue to stand up for the working class. I was born and raised in Southern Illinois before moving to St. Louis where I majored in Political Science at Webster University. Upon graduation I lived in a number of places around the country working on campaigns for pro-labor candidates. I moved back to St. Louis in 2012 and took on the role of Government Affairs Director for LiUNA Local 110. I feel humbled to represent such a devoted, selfless membership and I am lucky to call you my brothers and sisters. I was born in Mississippi and grew up in East St. Louis where I graduated Lincoln Sr. High School. I went to a trade school and became a certified welder doing tack welding on an assembly line. From there I moved on to a heavy metal scrap yard torching everything from tanks to railroad cars. At the age of 23 I started in the abatement field and moved to a supervisory position. 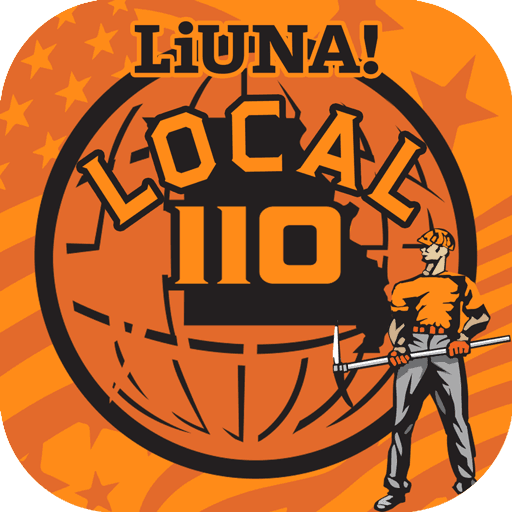 I joined Local 110 in 2008 and I am proud to be part of the 110 family. I am 48 years old and have been a proud member of Laborers Local 110 since 2006. I currently work for U.S. Silica Plant in Pacific Missouri. I have over 20 years experience with conveyors and power transmission equipment. I love to trout fish, golf, hunt, target shoot, hike, ski, and traveling. I am very honored to serve on the Board for our Union. My name is Brad Wilfong. I have been a member of Local 110 for almost 16 years. I currently am employed by SM Wilson Construction. I have spent most of my construction career doing various jobs such as drilling, blasting, tunneling, heavy highway and civil projects. I've been married to my lovely wife Laura for 7 years. I look forward to serving the union family. I've been an active member for 24 years. I was born and raised in S. Louis where I currently live. I enjoy outdoor adventures including ATV riding, off-roading, ziplining, kayaking and hunting. I'm a 4th generation union man. I currently work for Tarlton Construction. Hello! My name is Sarah Schwartz. I grew up and still live in Webster Groves, Missouri. I received my B.S. in education along with my teaching degree in middle school math from the University of Missouri St. Louis in 2008. After years of substitute teaching and competing for jobs in an over-saturated market, I looked elsewhere. I started as a cashier at Ace Hardware and quickly moved through the ranks to management. After three years in management at the store I interviewed with Laborers' Local 110 for the office assistant position. I started with the local in 2015, and should I be lucky enough, plan to finish my career here. My name is Hope Hatfield, born and raised in Texas now residing in the Saint Louis area. I have 7 years of management experience in retail, and 2 years of sales experience in the building supply industry. I served 7 years in the US Navy as an Electronics Technician working on airfield and shipboard radars. During this time, I earned my Associates in Applied Science in Electronic Studies. I joined the amazing family here at Local 110 in July 2017 as an Administrative Assistant. I know that I have big shoes to fill in this position, but I am up for the challenge and look forward to many years to come with LiUNA!